Double CD of pieces engaging with the work of the French-Swiss poet Gustave Roud. Who was Gustave Roud, and why are you so interested in his work? The poet Gustave Roud lived in the French speaking part of Switzerland from 1897 until 1976. After his studies in literature at the University of Lausanne, he realised that he didn’t want to continue the family tradition of working as a farmer. Nonetheless he lived throughout his life, together with his sister, in his parents’ farmhouse in Carrouge in the countryside north of Lake Geneva. His oeuvre is relatively small, his Collected Works comprising just three volumes. However, his enormous correspondence, his diary, and his critical writings are a testimony to his prolific consideration of literature and the arts. And in recent years his work as a photographer has also become recognised. I first encountered Roud’s work more than 10 years ago, and the impact of his work on my music has been profound. I feel a close relationship to a poet whose mode of operation and sensitivity make a precise resonance in me. It’s a unique poetry that speaks from beginning to end of searching for the essence. I would like to compare his mode of work with that of a painter. Every day he went out, not with an easel, but with his notebook, and he wandered through the landscape as a flaneur, observer, writer, laying the foundations of his work with his notes. For me his work constitutes a kind of ‘field recording’, not with a microphone and sounds, but with his soul and body, recording his environment in the broadest sense. He perceived existential dimensions in the finest nuances of the weather, the landscape and its inhabitants, and made it the basis of his work. All the works on the album relate to Roud’s work, but only one of them actually quotes from his texts. Do you nonetheless feel that the music is shaped by Roud’s work in some way? When I look at the pieces on the album, then I can easily analyse how Roud’s work has left traces in the music. But it’s important to point out that it’s never a matter of taking a quote or an idea from Roud at the beginning and then writing the piece according to this. It’s a much deeper connection. I think my process of working is similar to Roud’s process of working: roaming with my sketchbook, taking a movement here, adding some notes there, following an impression, writing a little melody or a rhythmic constellation, deepening a feeling, extending a pitch, waiting and letting it happen, and over a month the possibility of a piece occurs. And then it becomes connected with a picture, a detail, or a sensation that I have encountered in Roud’s work. Ombre si fragile is a piece where I felt during the composition that it would become as fragile as a shadow; it’s not just a piece about light and shade, but even more about fragility. Haut Jorat is the name of the countryside where Roud lived. The six pieces are like six photographs: sensations of air, light and landscape. La presence, les silences reflects more a feeling of being alive; standing, walking, breathing, experiencing: I am here. Roud’s landscape is not a wilderness, it’s a landscape designed and machined by the daily labour of farmers and by nature. And that is why Paysage pour Gustave Roud is also a piece about form, durations, heavy or light materials, colours. Farblose Wolken, Glück, Wind may be heard as a piece with a portrait of Gustave Roud and his internal and external landscape. The start of the quotation from Roud that you use in ‘Farblose Wolken, Glück, Wind’ reads “Quiet joy of being alone with my thoughts my sleep my dreams…” That seems as good a summary of the mood of your music in general as I can think of. Do you think of your music as trying to express a particular mood, or is that a misleading way of thinking about your work? a mood. I have more the feeling that my thoughts and sensations are moving within the score, and I have to take care not to disturb this process. At the same time, this process is strongly under the influence of my actions, of my dealing with the material and my decisions. And in the case of the pieces with Gustave Roud, this work takes place within a triangle of the poet, the score, and myself. When I say that a mood is inevitably expressed, it doesn’t mean that it happens inevitably, easily and by itself. 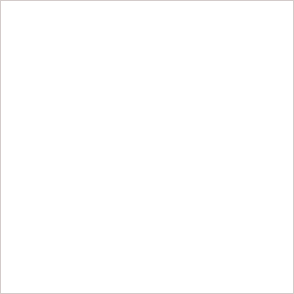 Mostly it happens in an unclear way, destroyed or impaired because of uncertainties in the working process. I think a special ability of a composer is to be able to distinguish what is right from what is wrong, and then to leave aside whatever is wrong. At the end I hope to have a piece and to express a particular mood, yes! There has been an upsurge of interest in your work over the past 5 years. Has this affected you, your music and the way you compose? No, it hasn’t changed the way I compose. But I now have a clearer view on some aspects of my life and work: how much I appreciate having good relationships with my composer friends and colleagues, how important time and the process of waiting are to my work, and how much I’m a family person. And I have a greater awareness that I have to take care of all these things. process of waiting are to my work, and how much I’m a family person. And I have a greater awareness that I have to take care of all these things. ““Music by the Wandelweiser group has figured prominently in Another Timbre's first decade. As well as 2012's monumental six-disc box set Wandelweiser und so weiter, the label's catalogue is peppered with albums featuring the likes of Antoine Beuger, Dante Boon, Johnny Chang, Axel Dorner, Michael Pisaro and Stefan Thut as players or composers. 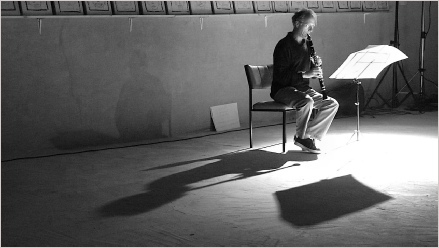 But at the head of that illustrious list stands Swiss clarinetist and composer Jürg Frey; Collection Gustave Roud joins three previous Another Timbre albums dedicated to Frey compositions, Grizzana and Circles and Landscapes, both from 2015, and Guitarist, Alone from 2016. Consider those alongside further releases on Editions Wandelweiser and on Erstwhile, and it is obvious that Frey is in a purple patch. This album's music was inspired by the poetry of Frey's countryman Gustave Roud (1897-1976). Frey says he first encountered Roud's work over a decade ago and its effect on his music has been profound. Of the five compositions here, dating from 2007 through to 2016, only one, "Farblose Wolken, Glück, Wind" (=Colourless Clouds, Happiness, Wind), features words written by Roud. On that forty-eight minute track, soprano Regula Konrad sings the title poem in French, accompanied by Stephen Altoft on trumpet, Stefan Thut on cello and Lee Ferguson on percussion, their plaintive tones highlighting the drama of Roud's words. Konrad's voice is effectively another instrument as she draws out the poem, emphasising the sounds of the words over their literal meaning but never failing to convey their emotion. 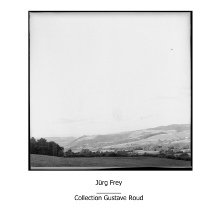 “Along with the general notion of "landscape", the words of Gustave Roud (1897 - 1976), a Swiss/French writer/poet, have served as a longstanding source of inspiration for Frey. This is a superbly curated selection of such works, maybe the finest single grouping of later Frey pieces I've heard. Three are somewhat short in length (about 8 - 15 minutes) and are written for similar trios: clarinet/cello/piano, violin/clarinet/piano and violin/cello/piano. These bracket to much longer pieces, 'La présence, les silences' for solo piano and 'Farblose Wolken, Glück, Wind' for soprano, trumpet, cello and percussion. “Ed entrambi vedremo finalmente quello che ho visto: il momento di estasi indescrivibile dove il tempo si ferma, dove il sentiero, gli alberi, il fiume, tutto è colto dall'eternità [...] Le voci dentro un silenzio più popolato del nostro cuore, una musica solenne che ruggisce nelle vene del mondo come sangue.